Dr. Dilip Kumar holds PhD in Finance and has done his PhD research work at Institute for Financial Management and Research (IFMR) Chennai. 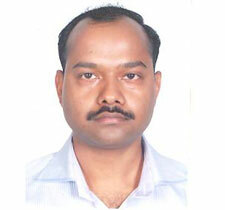 Before joining IIM Kashipur, he was a faculty member in the financial engineering department of IFMR Chennai. He has taught various courses such as Simulation Techniques in Finance, Financial Derivatives, Financial Risk Measurement and Management, Financial Engineering using MATLAB etc at both graduate and undergraduate level. His research interests include extreme value volatility estimator, bias correction procedures for efficient estimation of volatility, robust volatility estimators, Modeling extreme value conditional volatility, risk spillover, dynamics in market efficiency under the impact of structural changes in market etc. His current research focuses on developing bias correction procedure for various extreme value volatility estimators. Another segment of his current research is about developing a robust extreme value volatility estimator and proposing a bias correction procedure for the same. He was also an Editorial Associate of the "Journal of Emerging Market Finance" published by sage publication. He is also a Chartered Financial Analyst (CFA) charter holder from the Institute of Chartered Financial Analyst of India.